“To some people, I am the ‘most famous illegal’ in America. In my mind, I am only one of an estimated 11 million human beings whose uncertain fate is under threat in a country I call home,” writes Jose Antonio Vargas in his memoir Dear America: Notes of an Undocumented Citizen, out today, September 18. 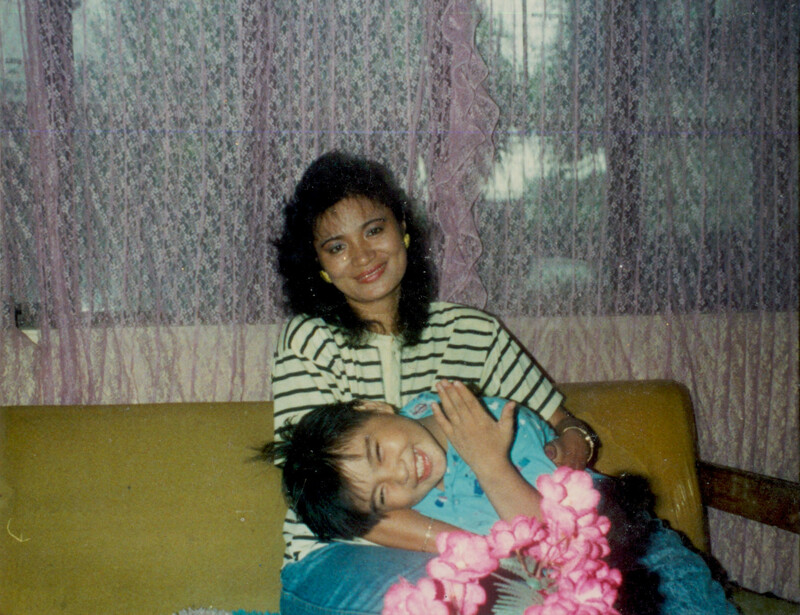 When Vargas was 12 his mother sent him to the U.S.–from Antipolo, Philippines, where he was born–to live with his grandparents in Mountain View, California. At 16, Vargas rode his mountain bike to the Department of Motor Vehicles office in hopes of applying for a driver’s permit only to find out that his green card was fake. 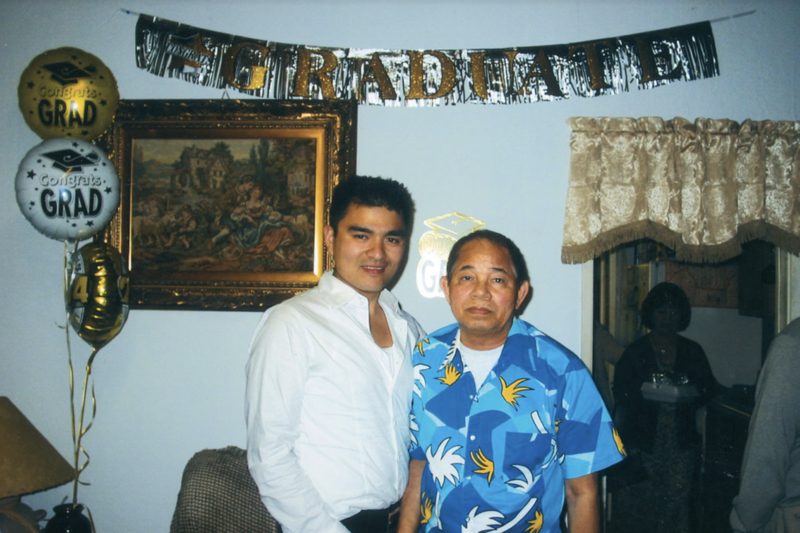 Now 37, he’s still living in the U.S. with no clear path to citizenship. Yet he continues to advocate for the estimated 11.1 million human beings in this country without legal documentation. The journalist and filmmaker is also the founder and CEO of the nonprofit Define American, “a media and culture organization that uses the power of story to transcend politics and shift the conversation about immigrants, identity, and citizenship in a changing America.” Since its inception in 2011, Define American and Vargas have continued to fight for folks who are constantly “othered” and has fought against the stereotypes, misrepresentation, and false assumptions about undocumented immigrants and communities of color. Vargas, who won a Pulitzer Prize in 2008 for his coverage of the Virginia Tech shootings, is now sharing a deeper account of what it means to have to hide, lie, and pass as a citizen in a country that professes to not want you. In Dear America, we get to know a young Vargas who was constantly told to stay in the shadows but whose tenacity and devotion had other plans for him. On September 25 he will be in conversation with Viet Thanh Nguyen at USC, an event co-sponsored by the USC Center for the Study of Immigrant Integration, USC Visions and Voices, and Skylight Books. We connected with Vargas on the phone to talk about the catharsis of writing a book, refusing to hide, and the psychological toll of being undocumented. Ever since you published “My Life as an Undocumented Immigrant” in the New York Times Magazine back in 2011, you’ve been consistently open about your undocumented status. What made you get even more personal with your memoir Dear America? I didn’t want to write a standard memoir, I wanted to write kind of a manifesto and I really wanted it to feel like a migration manifesto but clearly, that’s not what the book ended up being. I wanted to figure out how I could write about this in a way that was universal in terms of the experience. That’s why the structure of the book is Lying, Passing, Hiding—those are the three parts. That’s what we live through every day—it’s lying to my bosses so I can get a job, trying to pass as an American and for me, that meant sounding not Filipino. I spent all of my 20s and my teenage years hiding from the government and I didn’t realize that hiding from the government would mean that I would also be hiding from myself. So what I wanted to get at with this book was taking the conversation away from the politics or the policies [of immigration], the acronyms, and make it a conversation about what it means for people’s mental states. What does it do to people? And to be honest, as someone’s who’s undocumented, gay, and Filipino, I’ve never had that therapy before. Until very recently, there’s always been a [stigma] around talking about therapy, it’s very taboo in my culture. So I’ve never [gone through] therapy before and this book is the closest I’ve ever gotten to it. The book for me is trying to make sense of what it means to be in this country under this condition. In the chapter titled “Detained,” you revisit the hours spent in a jail cell in South Texas surrounded by migrant children. This was in 2014, but the picture you paint is similar to the images we’ve recently been exposed to on social media of families being separated at the border under Donald Trump’s administration. As someone who has been detained, and as a journalist, what are your thoughts on how the media has portrayed this issue? I think that’s the reason why I wrote it the way I wrote it. I didn’t really face myself until being detained with those kids. What I mean by that is I didn’t really [talk] about what it meant to be separated from my mom, what it meant to be in this new place, and mind you, I flew to get [to the U.S.]. I can’t even understand or wrap my head around the fact that these kids walk and the trauma they’re processing that they’re going to live with for the rest of their lives. A few people who have read the book so far are surprised that the book is not about Trump because I think there’s this consciousness of the American public that has been [manipulated] about immigration, constructed by the elected president, but in reality, this has been going on for years and decades. The cost of this bipartisan mess—we have not even fully measured that the cost of it has been since the ’90s. Since Bill Clinton signed the 1996 immigration bill. This has been a bipartisan mess and no one party is fully responsible for it. [This is] only the manifestation of everything wrong that we’ve done—Republican and Democrat. So I wanted to really paint that picture that way—that that happened when Barack Obama was in office and when Hillary Clinton told Jorge Ramos [in an interview for America with Jorge Ramos] that “some children should be sent back.” That’s why I wrote it the way I did and the fact that a country that decides to lock kids up has a very serious problem. What were some of the biggest challenges in writing this book? For me, the biggest challenge was using language that transcends out of the politics and limiting and the almost clinical way we talk about this issue. Immigration is always in the headlines, so I wanted to find a different way to write about it. How do I write about myself in a way that…let me put it to you this way, if you’re familiar with Toni Morrison, she says that when she writes her books, she tries to make sure that she’s not writing it for the “white gaze.” So when I was writing this book, I had that in mind. You know, I’m not here to convince people of something, I’m not here to convince people of my humanity. Humanity is a given. I don’t need a law to validate my humanity. I wanted to write a book that wasn’t me convincing a bunch of U.S. citizens or convincing Trump’s America [about my humanity]. And in many ways, I wrote the book for myself. I wrote the book for all the people in the last couple of years now who have contacted me telling me about how depressed they are, and how they’ve had a hard time dealing with their own mental health. So I wrote it for them, I wrote it to make sense of my own psychological state that I had never fully gauged until I wrote this book. I know myself a lot better after writing this book, I make sense to myself more, now I understand why I am the way that I am with people and how I behave with people. I think about the choice that undocumented Angelenos make every day to get up, go to work, and to provide for their families and how courageous of a choice that is. You recently tweeted, “I don’t have a valid green card. I don’t have a U.S. passport. I don’t have DACA.” When did you let go of the fear of hiding your undocumented status from the world? Now that you mention it, I did a private event with all the people that I’ve known since high school and middle school. I did this in Mountain View, where I’m from, and I wanted them to be the very first people to see the book, and feel the book, and read the book. It was only right that that happened. But what I also wanted to do was apologize because I had been hiding from a lot of them in the past. I had been very depressed and part of that depression is I didn’t want to see anybody, I didn’t want them to see how down I was. And one of the things I talked about in Mountain View was that I didn’t realize that I thought that if I come out as undocumented, I’m done hiding. I didn’t realize that the stress of the last seven years of being this public person—whatever that means—had driven me to the point where I wanted to hide from everybody. [Hide from the] expectations that people have about what I’m supposed to say or that I’m not radical enough or I’m too radical, that I’m not progressive enough or that I’m too progressive. But people project onto you all these things that they want you to be and I can’t be anything more than myself. You write in your memoir that at its core, Dear America is not about the politics of immigration but rather the “unmoored psychological state that undocumented immigrants like me find ourselves in.” Have you ever felt like you’ve found a home here in the U.S.? Throughout the book, it becomes clear that home is not necessarily a physical space or an address. Home is the people who make you feel at home. Home for me here has been all these people that I’ve had in my life since I was a teenager who have welcomed me here, who have supported me here, who have protected me here. So they are more of a home to me than any physical address I ever had. And this feeling of being unsettled and unmoored is again, why I wrote the book, I wanted to understand myself in that way. You know, I’ve had many apartments throughout my life and I’ve realized in many instances that I never really unpack my suitcases. I was always on the go, not because I wanted to but that’s just how I’ve been wired. When you keep moving, moving, moving, and distracting yourself then you don’t have to ask yourself questions–hard questions–so home for me is allowing myself to ask these questions. It’s important for me, too, that my mother…she got the last say in the book [“Maybe,” Mama said, her voice growing fainter for a moment, “maybe it’s time to come home.”] That was my way of honoring what she did. My life doesn’t make sense without hers. My choices don’t make sense without her choices. Do you ever wonder how your life would have turned out if your mother had not sent you here to the U.S.? I think about that a lot. It wasn’t my choice to come here; it’s my choice to stay. I’m in L.A. right now, driving around, and I think about the choice that undocumented Angelenos make every day to get up, go to work, and to provide for their families and how courageous of a choice that is. Under this anti-immigrant regime that [reaches] all the way to the White House, I find it incredibly heartening [to see] how undocumented people every day decide that they are going to live their lives. In your words, how do you “define American”? There are many ways to define American. 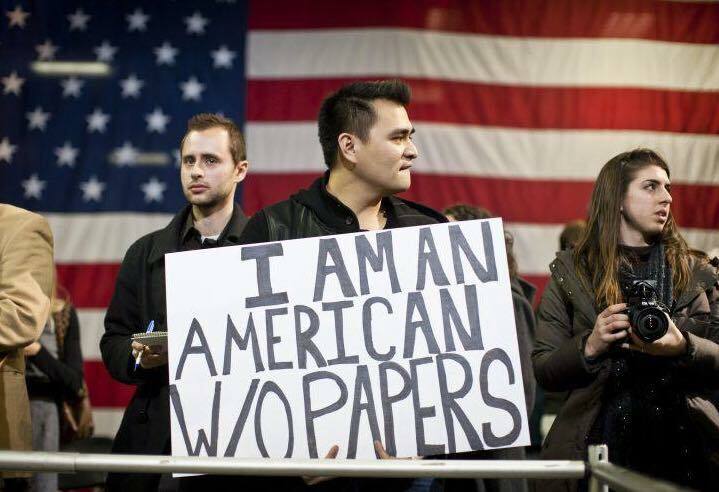 Defining American is out of this process of welcome. Who do we welcome and how do we welcome people in this country? I think about defining American as resilience. I am just in awe of the resilience of people, of undocumented people, and resilience in the ways that really underscores what this issue has always been about, which is about families. You’re going to cross whatever border you’re going to have to cross, and climb whatever wall you have to climb to feed your children—that’s what you’re going to do. I find resilience to be a quintessential American trait. 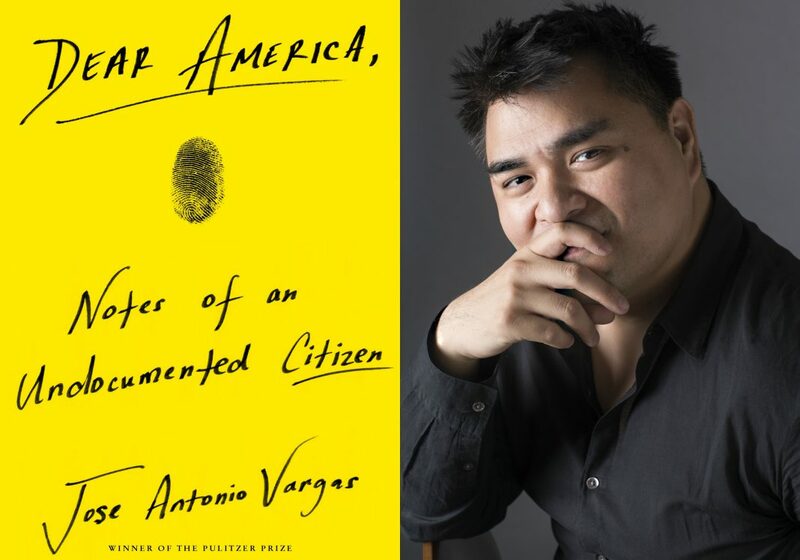 Jose Antonio Vargas will be in L.A. for his Dear America, Notes of an Undocumented Citizen book tour on September 25 at USC’s Bovard Auditorium. He will also be at Scripps College on September 26.